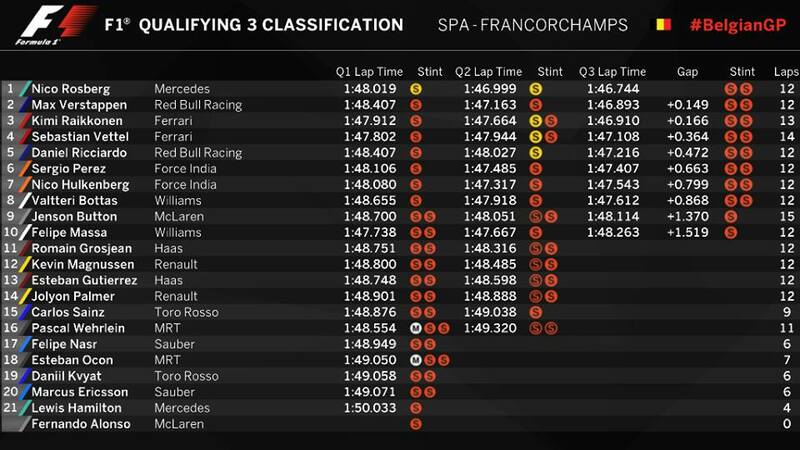 The qualification for the F1 Belgian Grand Prix was pretty intense today, marked by the high temperatures. Roseberg had the pole, with a 1:46.744 time, the 5th for him this season, beating Max Verstappen by a tenth and a half, Ferrari had a second row lock and fifth was Daniel Ricciardo, with a 1:47.216. Roseberg and Verstappen times were posted in the first runs, the Mercedes and Red Bull driver did an astonishing fast lap each but couldn’t improve on the last runs. Verstappen becomes the youngest man ever to be on a front row. He is doing a stunning season so far, with a win already in his pocket. He goes on aggressive defense, and doesn’t give a quarter when attacking, so we maybe looking at his second win tomorrow. Behind him with a new diffuser, and 4 Spa wins, is Ferrari‘s Ice man, who was first in the FP3 session, and beating his team mate by two tenths of a second. Raikkonen maybe interested in another win, especially that the coast is clear, and there is just a Mercedes in front of him. Raikkonen didn’t have a good first run, going off the track at Stavolet, the car went sideways, but he did not lose control, which made him cut on his lap time and go directly to the pits, on his fast lap he improved on his time, and posted a 1:46.910. It was his best time for the day. He outqualified Sebastian Vettel, by two tenth of a second, strategy will play tomorrow. 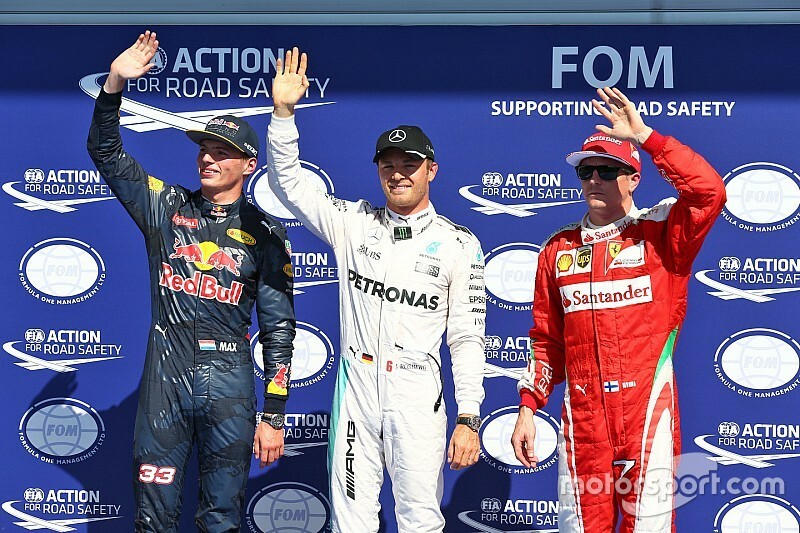 Raikkonen has more points in the championship than Vettel, but the German has a more aggressive driving. He also has one of the best race starts, so, if everything goes well for him, he can see to skip the two drivers in the first line and go for the win. Jenson Button who is racing in his 15th Spa Grand Prix edition, posted the 9th time. His team mate faced many difficulties, and was racing Hamilton backwards to the last place, he ended up having it. Alonso did not post a qualification time, he was the only driver to do so. McLaren–Honda is still on the struggle, after more than a year back to F1. All eyes were on Hamilton, with a 55 grid place penalty, after two MGU-H and turbo unit failure, a third replacement, he stand on the before last position. 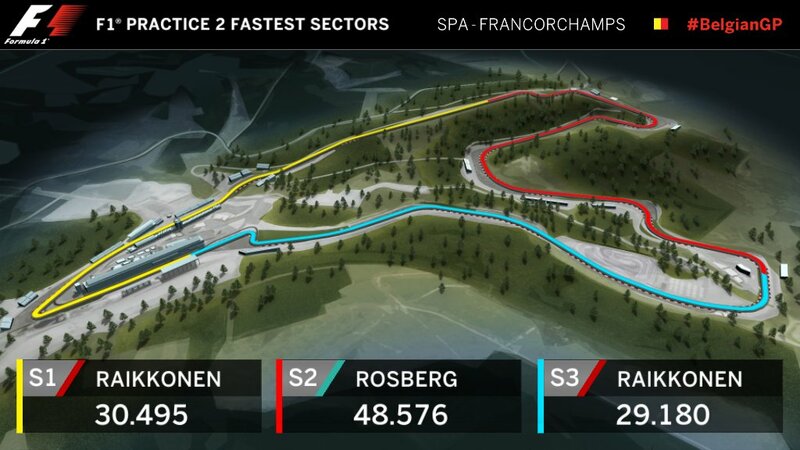 He did a slow enough lap to keep him in the 107% time. Hamilton was eliminated in the Q1, he did 1:50.033, it kept him in the race, a race on which there are many gambles. Note that he has a 19 points advantage on the F1 world championship to his team mate. The Force India team had a strong qualification session, the two drivers finished 6th and 7th, with the best time going to Sergio Perez. The race tomorrow could be in his advantage, being the driver who knows best how to manage his tyres and makes them last longer. 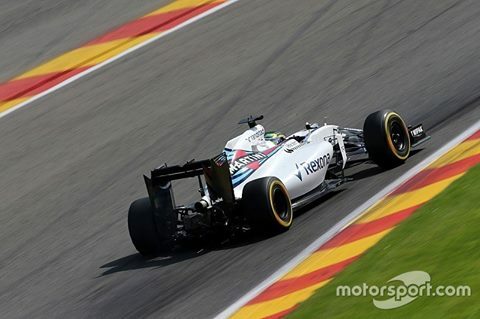 Deception for Williams, with the 8th time for Valteri Bottas and 10th time for Felipe Massa. Massa had a misfire in his outing lap, he wasn’t satisfied with the regulated tyre pressure, and it is going to be another long night for the Williams team if they want to have a decent race tomorrow. This is the provisional grid for Tomorrow, of course, drivers like Gutierrez, Hamilton, Alonso and Ericsson will have grid penalties to serve, the advantage was to Mercedes power units, despite being the longest circuit in the F1 calendar, it had two long straight, and mainly fast turns. Ferrari had the advantage in the second sector, which has more turns to be dealt with. 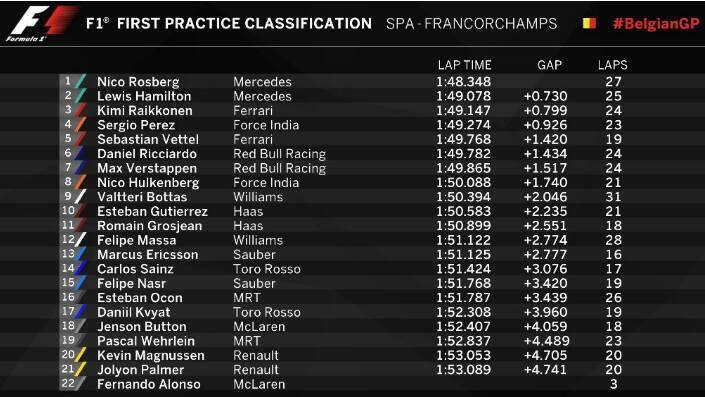 F1 Spa Practice sessions : reviews and results. The summer holidays are over for the F1 drivers and it is back to business. The first of the sessions was dominated by Nico Roseberg for Mercedes, doing 1:48.348, putting Louis Hamiltion 0,73 seconds behind him and third was Ferrari‘s Driver, Raikkonen 0,8 seconds behind the leader. 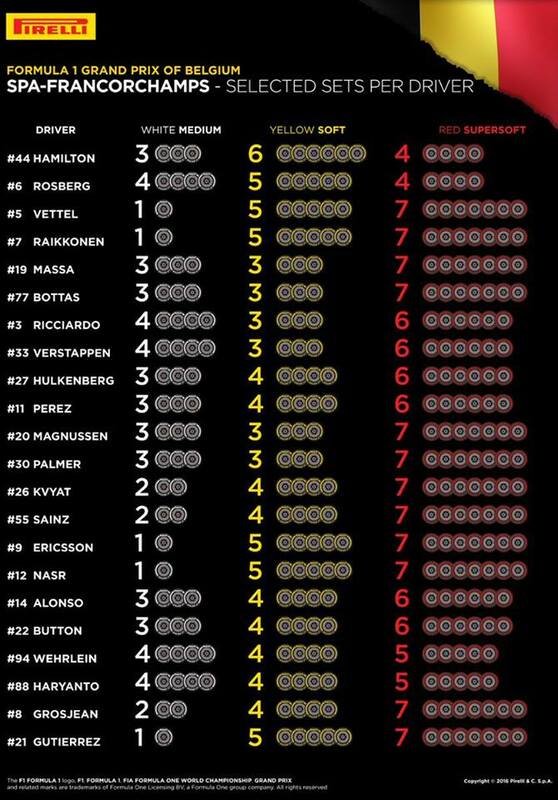 Mercedes F1 GP was the only team to ever use the softest tyre, the super soft. 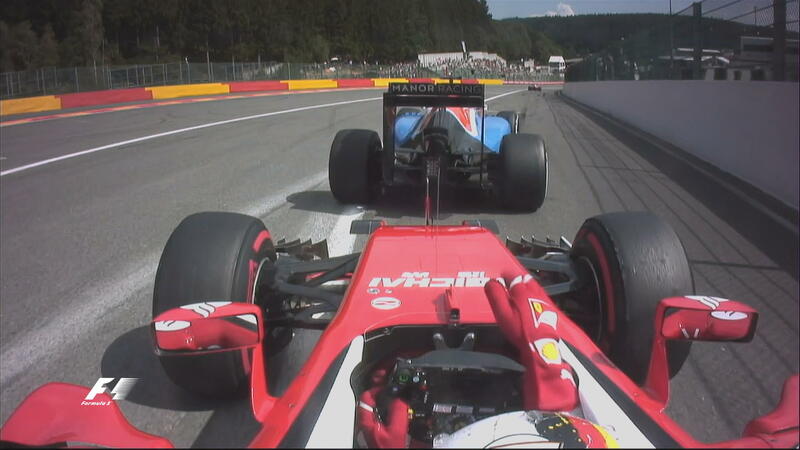 Ferrari came with a more aggressive tyres strategy. 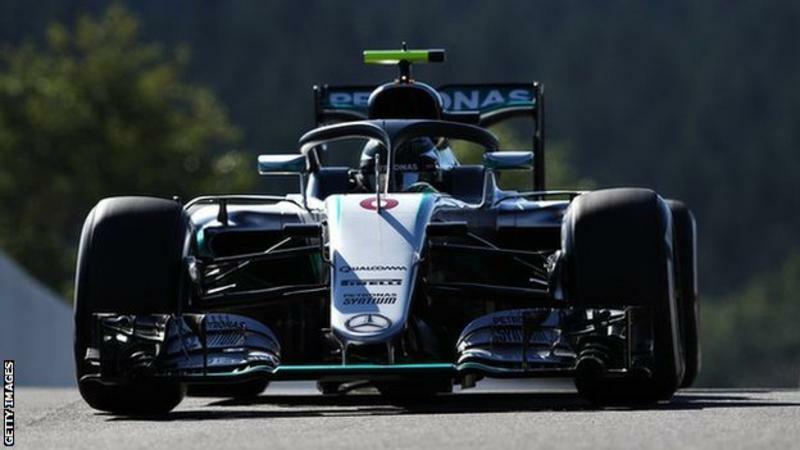 Mercedes is gambling on Hamilton’s power unit, since they gave him a new Turbo and MGU-H (a motor-generator unit that recovers energy from the turbo) units, giving him a 15 place grid penalty, and they may resort to using a 7th turbo and MGU-H units which will give him another 15 place grid penalty, thus starting plain last. Ferrari was 3rd and 5th on the first practice session, running on the soft tyres, which was refreshing for the Scuderia to be close to the Mercedes Team. The two Ferrari drivers were divided by the Force india Sergio Perez. Red Bull drivers were 6th and 7th. Max Verstappen had a tough moment with a huge oversteer in the Fagnes chicane. It was hard for Alonso, the McLaren–Honda driver, who wasn’t able to set a time, due to engine-related problems. Honda came up with upgrades to its power units and it seems not to work. Manor introduced a new driver to the field, it is the Frenchman, Esteban Ocon, in replacement of the Indonesian, Rio Haryanto, after problems with the sponsorship. Ocon is Renault’s reserve driver and is under contract with Mercedes team. Ocon finished the first practice session 15th fastest, his best time was 1:51.787, he was +3 seconds off the lead, but he was better than his team mate, Pascal Wehrlein who did 1:52.837 and finished the session 19th. The practice session was run with protective halos by some drivers, like Nico Roseberg (Mercedes), Daniel Ricciardo (Red Bull), Carlos Sainz (Torro Rosso) and Nico Hulkenberg (Force India). Tests are still being made to make sure the protective halos do not affect pilots visibility. 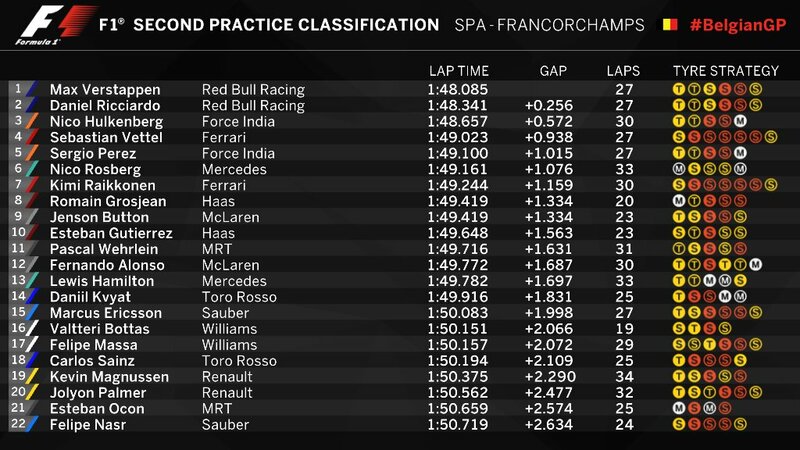 For the second practice session done later this afternoon, Max Verstappen came first 1:48:085 dollowed by his team mate, Daniel Ricciardo 1:48:341 (+0.256) and the third was Nico Hulkenberg doing a 1:48:657 (0.572 off the lead). Verstappen promised more to come from his car, as tomorrow will be hotter. Hamilton focused more on the long runs, doing only 13th time. It did not go well for the Ferrari drivers, Kimi Raikkonen said that the car will behave better tomorrow, Vettel faced many traffic problems, it seemed like he was stuck in traffic all day, and he had problems making his tyres last longer, which was crucial for all the drivers. Ferrari ended the session in 4th place for Seb Vettel and 7th Place for Raikkonen. Hamilton wasn’t the only one to carry penalties, Fernando Alonso had his fair share too, with a 35 grid place penalties, due to engine change, for the FP1 failure. The Spaniard should make his start from the Netherlands maybe, Marcus Ericsson, Sauber driver, will serve a 10 place grid penalty for changing his engine. It wasn’t the best day for massa, who qualified tyre pressure by a joke, the car wasn’t behaving, despite introducing a new chassis to his car, he said also that there is a lot of work to do, to compensate the deficit. 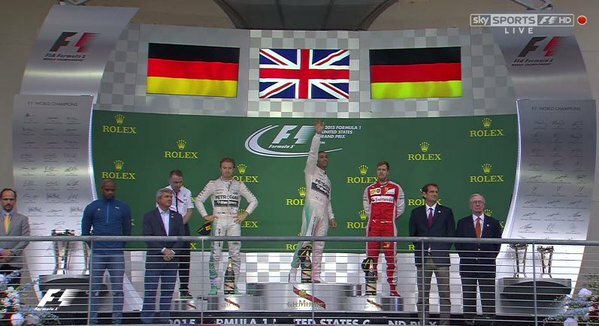 This just in, Lewis Hamilton won his third F1 world championship in the USA Grand prix in Austin Texas. After a hard race, and thrilling suspense the Brit could take the championship title home. It was only a slip from the German Nico Roseberg that gave Hamilton the world championship. Roseberg started 1st, saw himself go back to the 4th place. Vettel went to the chase in the last laps behind the German, but he was a few tenths away from depriving Hamilton from the world title. 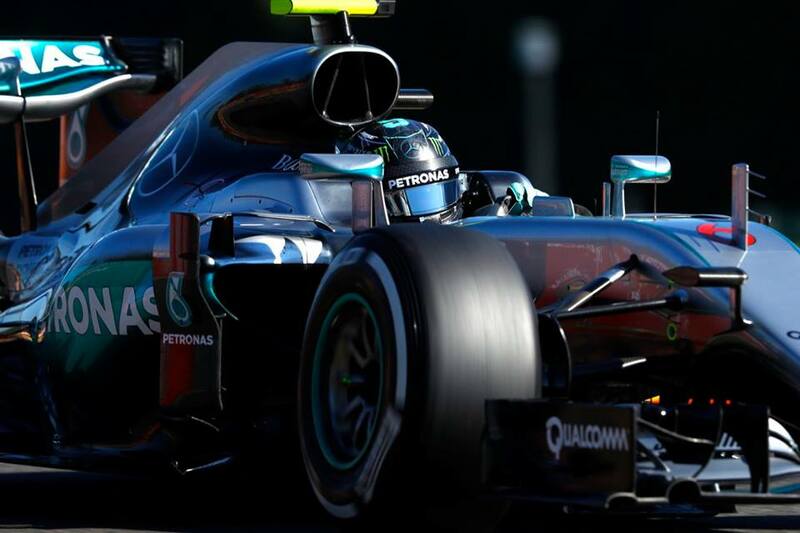 We’re two races away from the end, and Mercedes can rest on two titles. Celebrations will be held in the Mercedes garage, for the second year in the raw, other car companies have to wait to the 2016 season to hope for the world title.